Cadastral map of the town of Brody (Броди, בראָד), from 1844. This cadastral map is very unusual in two respects: the residential area extends to the cadastral limits (no agricultural land within the cadastral border), and the map includes numerous street names. Parts of modern Brody lie outside the 1844 cadastral border: the village of Smolno and the "large and small farms" (folwarkie wielkie and folwarki małe). 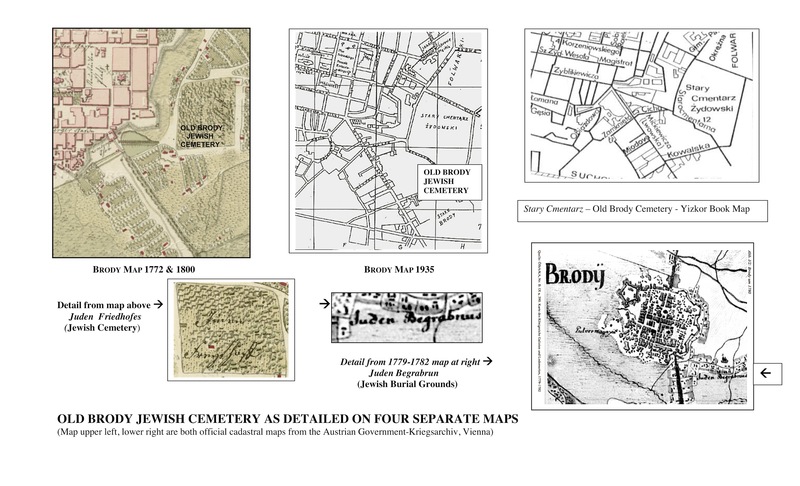 See also a pictorial description of the location of the old Jewish cemetery in Brody, by Pamela Weisberger. This historic paper map is preserved by the Central State Historical Archives of Ukraine in Lviv (TsDIAL).